I have nothing against MailChimp. I actually think that it's an amazingly simple tool. We as a team are using it too ... but for email marketing only. When we developed lemlist, we spent a lot of time studying different parameters that could affect email deliverability. The deliverability concept is whether or not your email are delivered to your recipient. This parameter is crucial when doing email outreach as every single email you're sending could translate into a business opportunity. Why Sending Cold Emails Through MailChimp is a Mistake? First of all, MailChimp is self-described as a “strict permission-based newsletter delivery service” which means that sending cold emails to potential cold leads is explicitly forbidden as per their Terms of Services. If you dig a little deeper into how MailChimp delivers emails, you'll notice that they are actually sending them using their own servers. Hold on … what does this mean? Many users are sending thousands of emails per month. With that in mind, MailChimp has a job to control and manage high-volume messaging. They do that by grouping a lot of their users on the same server. In other words, each server is not dedicated to only one user. What’s the problem with sharing one server? This is where the concept of email deliverability comes into play. In simple terms, email deliverability is the probability of your emails landing in your prospect’s inbox. As the case is in real life, email deliverability takes your reputation as a crucial ranking factor. It means that your domain and server you’re sending emails from will be under the microscope. If you’re still wondering why should you care about being grouped with other users on one server, read on. If someone who’s using the same server as you is spamming people, your deliverability will be directly affected and your emails will be more likely to end up in the spam folder. It’s not exactly the same situation as when your basketball teammate misses on touching the line when running kamikaze and then everyone runs an additional round because of it. No matter how hard it is, it’s still your teammate. But in the email world, it’s some damn spammer who’s not wearing the same jersey as you and it still forces you to pay for something you were so careful to avoid in the first place. This the number one reason why using MailChimp for cold emails is not such a good idea. Big ups for MailChimp and their relentless fight to keep the reputation of their servers at the highest level possible. It’s not easy, but they’re trying day in, day out. But the biggest marketing poison in the world is affecting them too … people taking shortcuts and trying to sell no matter how bad the tactic they’re using is. Spammers are poison. Why Does MailChimp Forbid Cold Emailing? 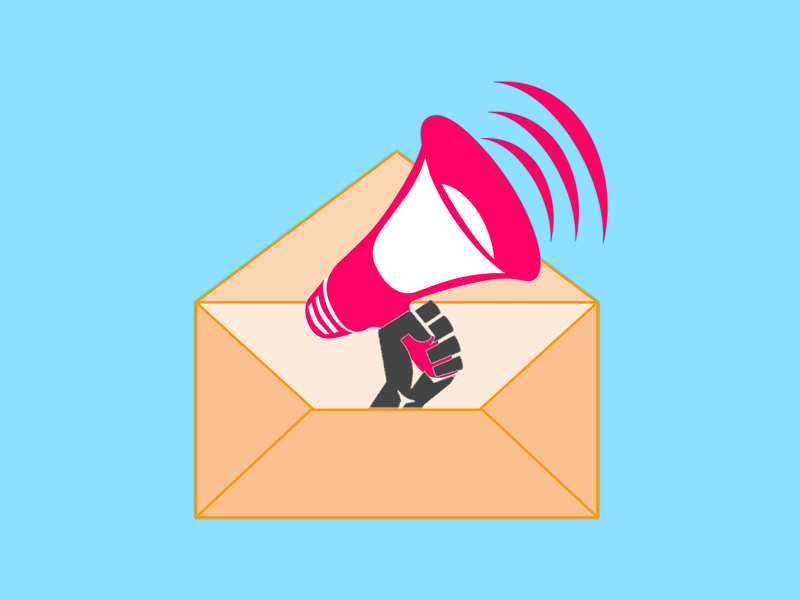 Cold email is loved by entrepreneurs and startup founders because it’s a simple and cheap way to generate traction, sign customers and build brand awareness. Unfortunately, people often tend to forget the basic principles of cold emailing. Firstly, before we get to the point where we click send, we should gather up email addresses and verify them. Alas, in real life situations where people are jumping from task to task at a fast pace, more often than not they skip this part. We stock all kinds of emails in one list and blast them without a second thought. As a result, our cold emails are sent to invalid email addresses which then damages our reputation and significantly decreases email deliverability. Imagine a dozen people doing that on a weekly basis from one mutual server where you happen to be on. Now, the second point. Equally important. It’s how you send your emails. With email marketing, the usual flow is to deliver all emails at once, as soon as you push the button. In other words, there’s no pause between sending each email. This also lowers your email deliverability. The trick with email outreach, and why it’s so different than email marketing, is in spreading out emails when sending them. What do I mean by that? You don’t send them all at once. They are being sent throughout a few hours or the entire day. Think of it like this. To Google, spreading it out looks like a normal person is sending them. As if you were sending each and every email individually. What is the best platform to send cold emails from? 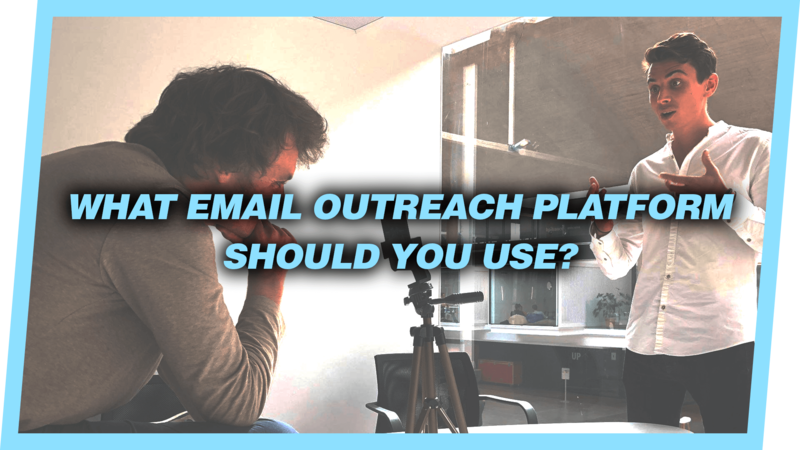 There are many email outreach tools out there and a lot of them are really solid. Make no mistake, this is an industry where competition is fierce. Being the CEO of one such a tool, I’m obviously going to focus on the product my team built. I don’t want to say this is the best tool and that everyone should use it. Although I’d really like that, it’s not going to happen. I’d rather tell you about how I’ve used my experience in Sales to build a cold email product that addresses key challenges with email outreach. Two of them I’ve already outlined in the previous section. One is to make sure you have valid emails on your list. The other I’m going to elaborate a bit more - spreading out emails when sending them. Imagine you’re sending a cold email campaign to 200 people who live in London and you’re from San Francisco. Your goal is to set up the flow with your main email and two follow-ups for example, and you want your prospects to get them during their work hours. The critical thing I want you to take from this is that you shouldn’t send 200 emails at the same time so everybody receives them at 12pm. You’ll get way better email deliverability if you spread it out so everybody receives their email between 12pm and 14pm their time. See what am I saying? 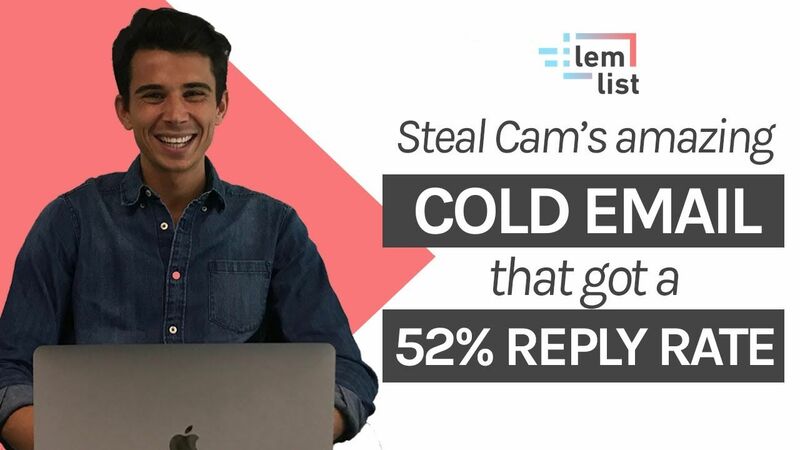 That’s precisely the reason why we've fine-tuned lemlist's sending algorithm so it maximizes the deliverability of your emails. With lemlist, emails are also sent directly from your server. You're not affected by the behavior of others. Rest assured, you’ve got your own. Finally, since we talked about verifying email addresses earlier, I’d kindly invite you to check my article on how to get 550 verified emails per month. Once you combine all of this, you’ve done your best to ensure maximum email deliverability and avoid ending up in spam and promotion folders. There is no bulletproof formula and everybody who says so is just blowing smoke. But there are these details that you can help you maximize things. After you’ve done them, now you can focus on creating the right email. This is where the real job starts. And again, the email platform you choose can set you apart. Things like personalization, automation and the quality of content they do can be a key differentiator. With that in mind, I have some interesting links for you.